Description: Four years ago ATF Services made a strategic decision to move into high-tech video surveillance solutions. This case study outlines the product development process for their intelligent multi-function IoT security alarm. Source: Based on a webinar titled ‘Case Study on IoT Product Development’ delivered on 14 August 2018 by Robin Mysell, CEO, ATF Services. Biography: Robin Mysell has been CEO of ATF Services for nearly six years. He has used his strategic and leadership skills to successfully transform underperforming companies faced with tough economic and competitive environments in Australia, New Zealand, and the United Kingdom. Robin is a firm believer in using technology and innovation to help improve business efficiency. Implementing continuous improvement and lean principles is one of his key transformation strategies. ATF Services needed to diversify from its core business of temporary fencing and edge protection due to market saturation with hire equipment following the end of the mining boom. They decided to move into camera-based security surveillance systems, starting with the development of a single solar panel, 4G security camera system with infrared light for night operation. The system was intended for operation at medium to large sites. Challenges to be overcome were false alerts from sources such as animals and objects flapping in the wind. Systems also needed to operate continuously, and have power backup in the case of power failure. 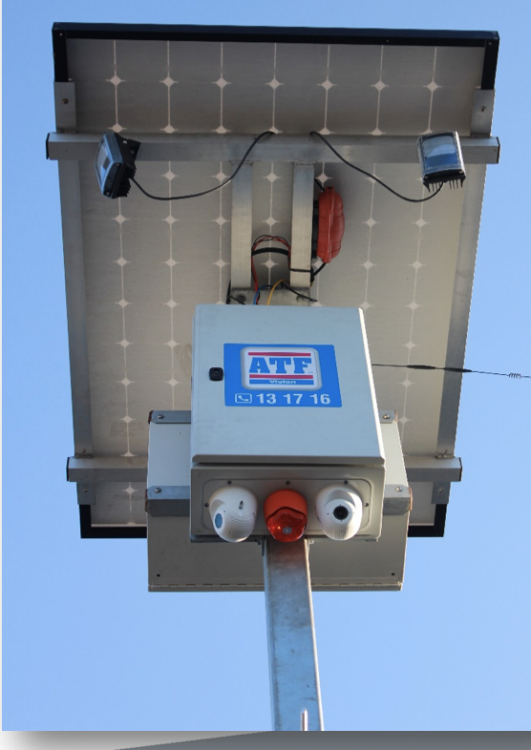 ATF had a steep learning curve in solar power generation for their first generation cameras. Issues faced were a need to clearly define power requirements, and reliance on an expensive lithium ion phosphate battery. Climatic variations over the target markets across Australia and New Zealand, meaning that products had to be able to operate reliably in a wide range of temperatures and weather conditions. The first hurdle was to decrease power consumption to allow the move to less expensive batteries. Perfecting power management allowed the company to save around $2000 per camera by using cheaper VRSLA batteries. An image of the mature camera system is shown below. The team developed a stable camera system, but it was unable to see through buildings or fences, meaning that sites were vulnerable to break-ins from areas not covered by camera surveillance. 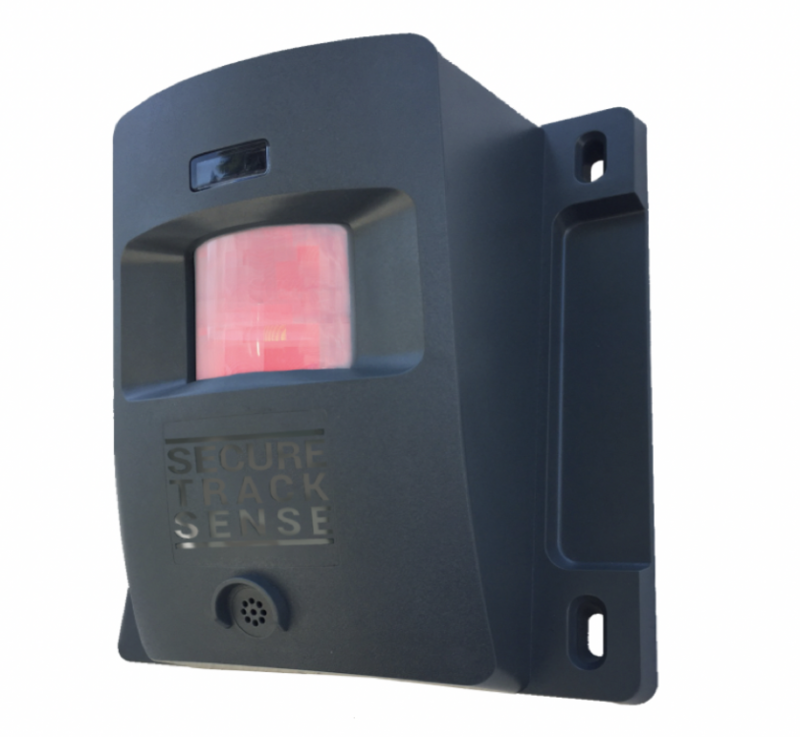 To cover black-spots on site, an IP66-rated, vandal-proof wireless sensor was needed. The sensor also needed to be able to communicate with the security cameras and have a one-year battery life. After testing third party devices, ATF decided to develop an in-house solution in partnership with Genesys Electronics Design. Most of the motion alarms on the market are built for indoor or household settings, where environmental variables are highly controlled. ATF needed industrial-grade sensors which could cope with variations in temperature and weather, as well as distinguish false alarms from animals and flapping objects. This meant that third party sensors were either inadequate or too expensive. Limitations faced were size and power consumption. An image of the current alarm device is shown below. The scope of the product continually changed during the development process, based on client feedback and a growing understanding of what could be achieved. AFR is still growing its understanding of potential applications for the device. For example, using recently rolled out LPWAN technologies, the company has discovered that the security alarm device can be installed in a standalone configuration without a co-located camera. Installation in shipping containers (shown in the image below) proved to be a challenge, as sealed containers create a shielding effect and block communications. 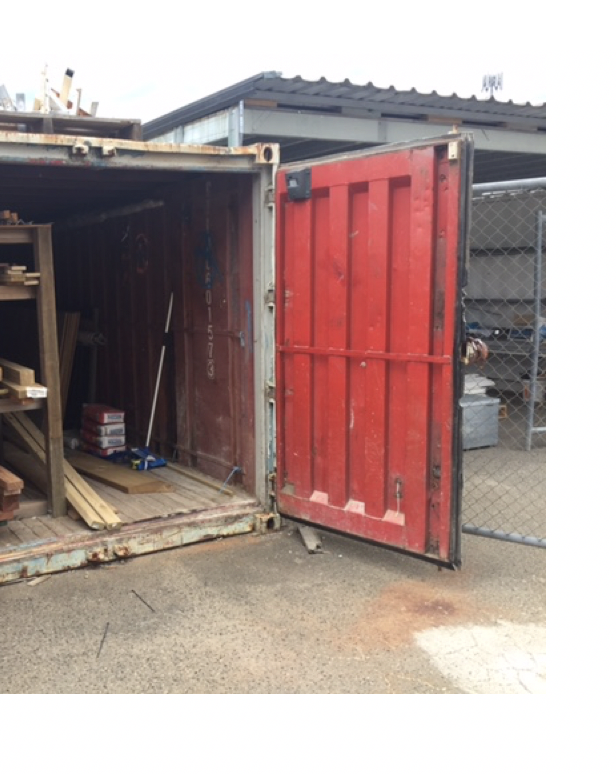 The solution implemented was to install the alarm on the container door so that communications were restored as soon as the container door was opened and a message could be sent back to base. ATF Services also developed a custom app for the alarm in parallel with the hardware and firmware development process. One lesson learned during the design process was that being involved in the product design process can mean a loss of objectivity. This means that customer feedback can be useful to gain a fresh perspective on features that would be useful to end users. Another learning was that keeping the app interface smooth and simple for clients meant a lot of work at the backend, and scoping the end user experience was crucial early in the design process as redesigning an app’s features and the device framework that communicates with the app later in the process is a huge undertaking. While writing the device framework at the same time as developing cloud services and the software backend was a challenge, AFR now has the benefit of full ownership and control of all system assets in order to make changes and undertake future development. Another lesson was in ensuring thorough up-front project scoping. Scope-creep can be a risk when building technology which is the first of its kind, and the many scope changes and time delays came at a heavy cost – doubling the original development budget. While this was a major issue in the short term, in the medium term it has provided a much more capable system, with applications that are still emerging. Since the security alarm project, AFR has started putting together a ‘wish list’ for added functionality and features at the start of the product design process and prioritising those features to understand the cost-benefit of each, with a view to how it may increase the product value over the medium to long term. Upgrade paths should be designed into a system, to take into account the rapid pace of technological development in the IoT sector. The system should also be scalable, to cope with user growth over time. The solid partnership with Genesys was another crucial factor in the success of the project.